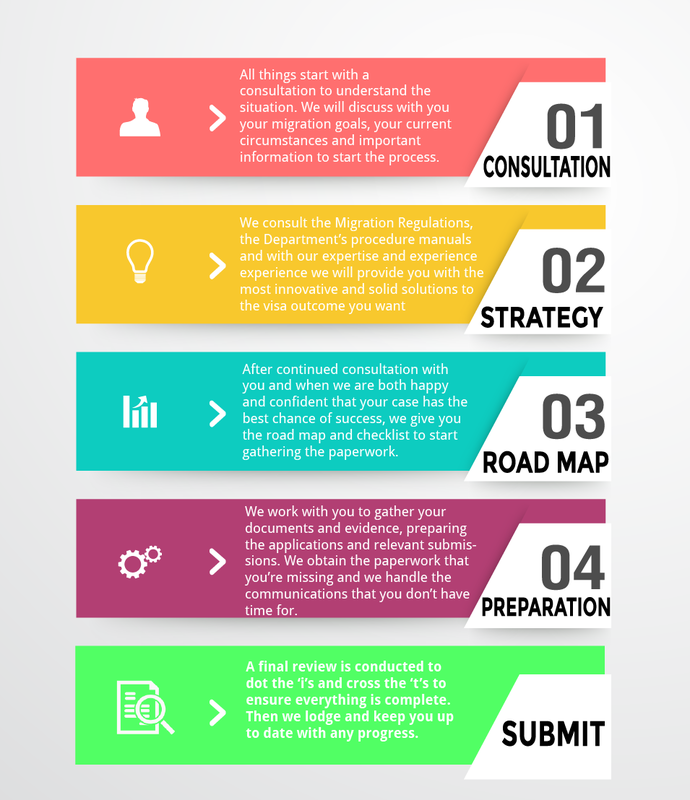 A lot of agents end their obligations after they've lodged the application but with Frontier Migration we manage the case from start to finish including any follow up requests from the department. We do not simply send you the department letters and make you deal with it. We explain it, we walk you through it and we tell you which documents you need to provide. Unlike other traditional legal firms or migration agents, we don't charge for every letter, email or phone call. This is exactly what you will get from us. No hidden fees, no hidden charges, nothing out of scope of the contract. You'll also notice that we are honest and upfront about your fees so you'll know from the start what you have to pay. Please have a look at Visa Options for your visa subclass for an estimate of the fees. For the most accurate quote for your situation please click 'Request a quote' and answer fully and as detailed as possible. Alternatively, book into a consultation to discuss your requirements.